Green Flag - The Start or Restart of the race, cars may travel at full speed and change positions. A green flag is also displayed at the entrance to pit road to indicate that the pits are open and used to start or restart practice and qualifying sessions prior to the actual race event. Yellow Flag - Caution on the race track. Hazardous conditions exist and cars must slow down and can not change positions. The pace car will enter the track and lead the field at a slower predetermined speed (usually the maximum pit road speed). A furled yellow flag is displayed to indicate one lap to green. Red Flag - Hazardous conditions exist on the race track and racing must be stopped. The pace car will bring the field to a stop on the track or on pit road (usually opposite of the incident). Cars can not change positions. During the Red Flag, no repair work may be done in the pits or garage area on the race car. Pit Road Closed Flag - A signal for drivers that pit road is closed. No car can enter pit road to refuel or change tires as long as the flag is being displayed at the entrance of pit road. Any car entering pit road while it is closed for service results in being penalized to the tail end of the field. Debris Flag - (Road Courses Only) A hazardous condition exists on the race track which could cause a car to lose control. Debris - generally oil, coolant, small stones, sand, dirt or even wildlife are potential hazards on the racing surface. The Debris Flag is displayed for approximately two laps. Black Flag - A driver shown the Black Flag must come to pit road and stop in the cars pit stall. It is usually used penalized a driver or team for rules violations, but may also be used when a car has a engine or mechanical failure, loose or dragging body panels, or to call a driver to the pits if their radio is not working. Disqualification Flag - Indicates that the car is no longer being scored. This happens when a driver ignores the Black Flag and remains on the race track. Once this flag is displayed, the car is not scored again until it answers the Black Flag by coming to pit road and stopping in the cars pit stall. Passing Flag - The Blue or Passing Flag is an indication to a driver that there is a faster car approaching and that the driver should move aside to allow the faster car or cars to pass. It is usually only shown to a lapped driver, but during practice or qualifying it can be shown to any driver. The driver is not required to heed this flag and as such incurs no penalty. Red & Black Flags - Signals the end of a practice session. All drivers must come to pit road and stop in the cars pit stall or go to the garage area for service to prepare for another practice session, qualifying or the actual race. White Flag - Displayed to the drivers when there is one lap of competition remaining. Drivers will try to position their cars to be in the lead as they race back to cross the start/finish line. The White Flag is also shown to the driver on the completion of the first lap of a qualifying session. 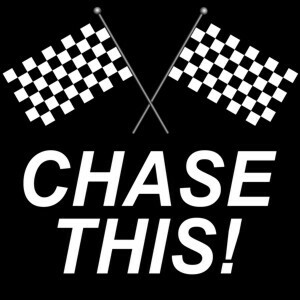 Checkered Flag - The Checkered Flag is displayed at the finish line to indicate that the race leader has won the race by completing the required number of laps and the race is officially over. The drivers will take one more "cool down" lap, come to pit road and return to the garage area. The race winner will drive into victory circle to celebrate the race win. The Checkered Flag is also shown to the driver on the completion of the last lap of a qualifying session. AERO - Commonly used abbreviation when referring to the all-important science of aerodynamics. AERODYNAMICS - The science of understanding different forces acting on a moving element in gasses such as air. The application of this study to racing is credited with much of the sport's recent progress as teams learn more about drag, air turbulence, and downforce. AIR WRENCH - This tool uses compressed air to quickly remove and install wheel lug nuts. A crew member proficient with the air wrench can save a team valuable seconds on a pit stop. Also referred to as an air gun or impact gun. BLISTER - Excessive heat can make a tire literally blister and shed rubber. Drivers can detect the problem by the resulting vibrations and risk more serious damage if they choose not to pit. BOTTOMING OUT - When the suspension runs into bump stops at the end of its travel. BUMP STEER - Deviation of the arc prescribed by the wheel�s vertical suspension movement to that prescribed by the steering arm. CAMBER - The angle that wheels are tilted inward or outward from vertical. If the top of the wheel is tilted inward, the camber is negative. If the top of the wheel is tilted outward, the camber is positive. CASTER - The angle to which the steering pivot axis is tilted forward or rearward from vertical, as viewed from the side. If the pivot axis is tilted backward (that is, the top pivot is positioned farther rearward than the bottom pivot), then the caster is positive; if it's tilted forward, then the caster is negative. CHASSIS - The basic structure of a race car to which all other components are attached. Indy cars have carbon-fiber monocoque "tubs" while a NASCAR stock car has a steel tube frame chassis. DARLINGTON STRIPE - A NASCAR term for getting the right hand side of the car against the outside wall and rubbing the paint off of the sheet metal. DRAFT - Airflow creates a low-pressure air pocket (or draft) behind moving objects. Most notably in NASCAR, drivers try to follow opponents closely enough to enter their draft and produce a "towing" effect. The car creating the draft actually pulls the pursuing driver who can ease off the throttle and save fuel. DRAG - Aerodynamic forces that tend to slow the car. EARLY APEX - A driver turns into a corner early. ECONOMY RUN - Driving slower to conserve fuel. Some series cars can actually manipulate air/fuel levels (less fuel, more air) to run "lean" and conserve fuel. END PLATE - The vertical end piece of the rear wing. FLAGMAN - The person standing on the tower above the Start/Finish Line who controls the race with a series of flags. FLAT SPOT - When drivers lock up the brakes, they expose one area of their tires to excessive wear causing flat spots to develop. Flat spots lead to vibrations which may require a pit stop for tires. FUEL CELL - The fuel tank for race cars. Most racing fuel cells were borrowed from military applications for extra protection in crashes. GAS CAN - Large steel can used to fill the fuel tank of race cars during a pit stop. GREEN TRACK - A track that has little or no rubber on it from previous races. A green track is a bad condition that allows little or no traction for a race car. GRIP - The ability for a tire to "stick" to the track. It is Equal to the side force divided by the vertical force of the tire. HAIRPIN - A slow, 180-turn which exits in the opposite direction a driver enters. HOLE SHOT - A drag racing term for beating an opponent off the starting line and winning a race despite having a slower elapsed time. Other racers use this term to describe a good start or restart. HORSEPOWER - The estimated power needed to move 33,000 lbs. one foot per minute roughly equated with one horse's strength. INFIELD - The enclosed portion of a track which includes team garages on most oval tracks. During race weekends, this area is usually filled with race team transporters, merchandise trailers, and driver and fan motorhomes. INSIDE GROOVE OR LINE - On an oval track, this is the innermost racing line which is usually separated from the infield by a distinctly flat surface called an apron. On road courses, the inside groove refers to the line closest to the curbs or walls forming the inner portion of turns. IN THE FENCE - A phrase used to describe the wreck of a race car or cars that make contact with the inside or outside wall. JACK BOLT - Used for making chassis adjustments utilizing the race car's springs. The jack bolt is attached to the springs, and a wrench is used to tighten or loosen the amount of play in the spring. This will adjustment handling of a race car. JACK MAN - The pit crew member who raises each side of the car so that the tires can be replaced. The jack man will, also, usually pull the old right rear tire from the car after the rear tire changer loosens the lug nuts. This is to help get the new right rear tire on faster. The jack man signals for the driver to leave the pits by lowering the car. KING - The unofficial title given retired racer Richard Petty. Petty has a career high of seven NASCAR driving championships and a record setting 200 victories on the track. LAP - One time around a track. Also used as a verb when a driver passes a car and is a full lap ahead of (or has lapped) that opponent. A driver "laps the field" by lapping every other car in the race. LATE APEX - Turning into a corner late and missing the optimum apex point. LOOSE - A car has more grip in the front than the rear end and tends to "fish tail." Drivers often report whether the car is "loose" or "tight" so the crew can make adjustments on the next pit stop. Also called "oversteer". MAKING UP TIME - A driver is catching up to or gaining ground an opponent. MARBLES - Rocks and debris that collect off the racing line. If a driver enters the marbles at an excessive speed, his car will lose grip and drive perilously into awaiting hazards as if a person walked across a bed of marbles. NEUTRAL - A term drivers use when referring to how their car is handling. When a car is neither loose (oversteer) nor tight (understeer or pushing). OPEN WHEEL - Formula One and Indy car style race cars which are designed to have the suspension, wheels and tires exposed, no fenders. OUTSIDE GROOVE - The outside racing line. Sometimes a car will handle and perform better on the outside/inside line and a driver opts not to use the optimum groove. OVERSTEER - A condition when the front of a car has more grip than the rear. This is the same as a car being "loose." PACE CAR - The car which leads the field to set the pace before starts and restarts after cautions. The speed of the pace car is also the pit road speed. PIT ROW (ROAD) - The area designated for teams to set up temporary service stations during races and is accessible to and from the track. Each team is allotted one pit area (or space) per car. Drivers pit so crews can refuel, change tires and make any other repairs or adjustments. Also called the pits. PUSH - The rear end of a car has more grip than the front. This condition makes a car harder to turn into a corner. Also called "tight" or "understeer". QUALIFY - During the designated session, teams must establish lap times to be eligible to race. There is a predetermined number of spots available for each race. Spots are filled by drivers with the fastest lap times first, and reserved "provisional" spots for drivers who may have had trouble, mechanical or otherwise. QUARTER PANEL - The sheet metal on both sides of the car from the C-post to the rear bumper below the deck lid and above the wheel well. RESTRICTOR PLATE - A stainless steel plate used between the carburetor and the intake manifold to limit the amount of fuel and air reaching the engine. It is used to slow down the race cars on high speed tracks like Daytona Speedway and Talladega Speedway. ROOF FLAPS - These flaps are sections at the rear of a race vehicle's roof that are designed to flip up if the air pressure flowing across them decreases. In the case of a vehicle turning backwards, the tendency for an uninterrupted flow of air is to create lift. The roof flaps are designed to disrupt that airflow in attempt to keep the vehicle on the ground. RUBBING - Racing announcers use this to describe cars that make contact but don't crash. Also called "pushing and shoving" and "rubbing is racing". SETUP - The combination of settings for a car's engine, aerodynamic features tires and wheels. Teams make continual adjustments to a car's setup during pit stops based on driver input. SPOILER - The spoiler is a strip of aluminum that stretches across the width of a race vehicle's rear decklid. It is designed to create downforce on the rear of the vehicle, thereby increasing traction. The tradeoff is that more downforce equals more aerodynamic drag slowing the car. SPRING RUBBER - A circular rubber device added to the springs of a stock car to stiffen the spring ratio and make the car handle better. Often these are added or removed during pit stops. TEAR OFFS - Transparent plastic strips applied to helmet visors or windshields. As these strips accumulate debris, a driver or pit crew can tear a dirty strip off for a clear view. TIGHT - A car is said to be tight if the front wheels lose traction before the rear wheels. The rear end of a car has more grip than the front. A tight race car is not able to steer sharply enough through the turns. Instead, the front end continues through to the wall. Also called "understeer." TOE-IN - When a pair of wheels is set so that their leading edges are pointed towards each other. TOE-OUT - When a pair of wheels is set so that their leading edges are pointed away from each other. TUB - The chassis or monocoque of a Indy-style race car. UNDERSTEER - A condition when the rear of a car has more grip than the front. This is the same as a car being "tight." UNLAP - A driver down one lap passes the leader to regain position on the lead lap. VICTORY LANE - The spot on each racetrack's infield where the race winner parks for the celebration. Also called "winner's circle". VORTEX - In wet conditions, race cars can produce vortexes off their rear ends or wings. These vapor trails are similar to those produced by the engines of jet planes. WEDGE - Refers to the relationship from corner-to-corner of the weight of the race vehicle. Increasing the weight on any corner of the vehicle affects the weight of the other three corners in direct proportion. Weight adjustments are made by turning "weight jacking screws" mounted on each corner with a ratchet. A typical adjustment for a "loose" car would be to increase the weight of the left rear corner of the vehicle, which decreases the weight of the left front and right rear corners and increases the weight of the right front. A typical adjustment for a "tight" vehicle would be to increase the weight of the right rear corner, which decreases the weight of the right front and left rear and increases the weight of the left front. WEIGHT JACKING - The practice of shifting a car's weight to favor certain wheels. WIND TUNNEL - A structure used by race teams to determine the aerodynamic efficiency of their vehicles, consisting of a platform on which the vehicle is fixed and a giant fan to create wind currents. Telemetry devices determine the airflow over the vehicle and its coefficient of drag and downforce. YAW - Movement caused by side to side aerodynamic force. ZERO TOE - When a pair of wheels is set so that their leading edges are parallel to each other. The idea of the NASCAR points system is to accumulate more points throughout the race season than the other drivers. Whoever has the most points at the end of the race season is the season champion. The table below illustrates how points are awarded for finishing position. In essence, this is still the basic idea, even with the implementation of the Chase for the Championship. For the 2004 NASCAR season, the Chase for the Championship was introduced. 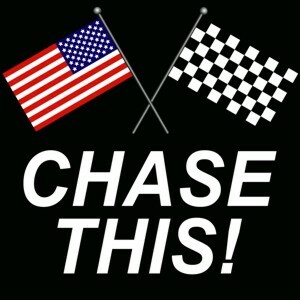 The Chase would take the top 10 drivers from the first 26 races, adjust each drivers point total to 5000 points, and race the final 10 races to determine the season champion. Increasing the top 10 drivers to 5000 points was to eliminate drivers outside the top 10 for championship contention. Points are awarded for finishing positions per the table below. In 2007, NASCAR increased the Chase playoff field to 12 drivers, and added a bonus of 10 points per race win during the first 26 races to be used in the Chase for the Championship. An example of this is if a driver wins 5 races and makes the Chase, that driver starts the Chase with 5050 points. A driver that didn't win a race, but makes the Chase, would start with 5000 points. Again, points are awarded for finishing positions per the table below. The range of points earned is from 185 to 34. Positions 1st and 2nd have a 15-point difference. Positions 2nd - 5th have a 5-point difference. Positions 6th - 10th have a 4-point difference. Positions 11th - 43rd have a 3-point difference. In addition to the points awarded for finishing position, bonus (extra) points are awarded for laps lead during the race. Any driver who leads a lap during the race is awarded 5 bonus points to be added to the finishing position awarded points. The driver who leads the most laps is awarded 5 additional bonus points also added to the finishing position awarded points. That driver has a total of 10 bonus points added to the finishing position awarded points. In the event of a tie for laps lead, the driver with the finish position closest to 1st. gets the 10 bonus points. (5 bonus points for leading a lap and 5 bonus points for leading the most laps). The maximum points difference between 1st. place and last place for any race is 161 points. Example: If the winner of the race also leads the most laps, he would earn 161 more points than the driver finishing 43rd and leading no laps. 2010 ARCA Racing Series: Champion - Patrick Sheltra. 2010 Formula One Series: Champion - Sebastian Vettel. 2010 IZOD IndyCar Series: Champion - Dario Franchitti. 2010 NASCAR Camping World Truck Series: Champion - Todd "The Onion" Bodine. 2010 NASCAR Nationwide Series: Champion - Brad Keselowski. 2010 NASCAR Sprint Cup Series: Champion - Jimmie Johnson (5th Straight Championship). Changes for 2011 NASCAR season. The Chase. The 12 driver Chase field remains intact. Drivers who make the Chase: The top 10 drivers in points following NASCAR's 26 race regular season, with the 11th and 12th spots going to drivers not in the top 10, but in the top 20 in points, who have the most race wins. The new points system. This new points system applies to all three NASCAR national series. Race winners will earn 43 points for the race win, plus an additional three bonus points for that win. Winners will also earn an extra one bonus point for leading a lap, and an extra one bonus point leading the most laps, bringing the total to a possible 48 points maximum. All other drivers will be separated by one-point increments per finishing order. A second-place finisher will earn 42 points, a third-place driver 41 points, and so on. the last place finisher, 43rd place, earns one point. These drivers can also earn an extra one bonus point for leading a lap, and an extra one bonus point leading the most laps. In the NASCAR Camping World Truck Series, the last-place finisher receives eight points, to account for that series' 36-driver race field. The new qualifying procedure. The qualifying order will now be set based upon slowest to fastest practice speeds. If inclement weather cancels qualifying, the final starting lineup will be determined by practice speeds. The same rule book procedures will be used to determine eligibility to start a race. If inclement weather cancels practice sessions, then the starting lineup will be set by points, per the rule book. Drivers must choose series. Drivers in all three NASCAR national series now must select the series in which they will compete for a driver championship. Drivers may still compete in multiple series and help their teams win owner titles in a series where they are not competing for a driver title. Catch can gone in 2011 for all three NASCAR national series. NASCAR officials confirmed the elimination of the the catch-can position. All three series will now use new gas can tanks that have a single-point, self-venting, closed loop system that doesn't require a crew member to operate. NASCAR to use E15 fuel in 2011. NASCAR has announced all three national touring series will race with E15 fuel for the 2011 season. Sunoco Green E15 is an ethanol blend mixture of 15% ethanol and 85% gasoline. New tire rule. NASCAR Sprint Cup Series teams now are allowed five sets of tires for practice and qualifying instead of six. They must return four of those sets to Goodyear in order to receive their race allotment, and may keep one set of practice/qualifying tires. Tire allotments for race weekends will vary according to historical performance data. 2011 ARCA Racing Series: Champion - Ty Dillon. 2011 Formula 1 Series: Champion - Sebastian Vettel. DP Class Champion - Chip Ganassi Racing. DP Class Champion Drivers - Scott Pruett and Memo Rojas. GT Class Champion - Brumos Racing. GT Class Champion Drivers - Leh Keen and Andrew Davis. 2011 IZOD IndyCar Series: Champion - Dario Franchitti. 2011 NASCAR Camping World Truck Series: Champion - Austin Dillon. 2011 NASCAR Nationwide Series: Champion - Ricky Stenhouse Jr.
2011 NASCAR Sprint Cup Series: Champion - Tony Stewart. Top Fuel Champion - Del Worsham. Funny Car Champion - Matt Hagan. Pro Stock Champion - Jason Line. Pro Stock Motocycle Champion - Eddie Krawiec. 2012 ARCA Racing Series: Champion - Chris Buescher. 2012 Formula 1 Series: Champion - Sebastian Vettel. GT Class Champion - AIM Autosport Team FXDD. GT Class Champion Drivers - Emil Assentato and Jeff Segal. 2012 IZOD IndyCar Series: Champion - Ryan Hunter-Reay. 2012 NASCAR Camping World Truck Series: Champion - James Buescher. 2012 NASCAR Nationwide Series: Champion - Ricky Stenhouse Jr.
2012 NASCAR Sprint Cup Series: Champion - Brad Keselowski. Top Fuel Champion - Antron Brown. Funny Car Champion - Jack Beckman. Pro Stock Champion - Allen Johnson. Pro Stock Motorcycle Champion - Eddie Krawiec. 2013 ARCA Racing Series: Champion - Frank Kimmel. 2013 Formula 1 Series: Champion - Sebastian Vettel. DP Class Champion Team - Chip Ganassi Racing. DP Class Champion Drivers - Max Angelelli and Jordan Taylor. GT Class Champion Team - Scuderia Corsa. GT Class Champion Driver - Alessandro Balzan. GX Class Champion Team - BGB Motorsports. GX Class Champion Driver - Jim Norman. 2013 IZOD IndyCar Series: Champion - Scott Dixon. 2013 NASCAR Camping World Truck Series: Champion - Matt Crafton. 2013 NASCAR Nationwide Series: Champion - Austin Dillon. 2013 NASCAR Sprint Cup Series: Champion - Jimmie Johnson. Top Fuel Champion - Shawn Langdon. Funny Car Champion - John Force. Pro Stock Champion - Jeg Coughlin Jr. Pro Stock Motorcycle Champion - Matt Smith. 2014 ARCA Racing Series: Champion - Mason Mitchell. 2014 Formula 1 Series: Champion - Lewis Hamilton. 2014 NASCAR Camping World Truck Series: Champion - Matt Crafton. 2014 NASCAR Nationwide Series: Champion - Chase Elliott. 2014 NASCAR Sprint Cup Series: Champion - Kevin Harvick. Top Fuel Champion - Tony Schumacher. Pro Stock Champion - Erica Enders-Stevens. Pro Stock Motorcycle Champion - Andrew Hines. Prototype Class Champion Team - Action Express Racing. Prototype Class Champion Drivers - Joao Barbosa and Christian Fittipaldi. Prototype Challenge Champion Team - CORE autosport. Prototype Challenge Class Champion Drivers - Jon Bennett and Colin Braun. GT Le Mans Class Champion Team - SRT Motorsports. GT Le Mans Class Champion Driver - Kuno Wittmer. GT Daytona Class Champion Team - Turner Motorsport. GT Daytona Class Champion Driver - Dane Cameron. 2014 Verizon IndyCar Series: Champion - Will Power. 2015 ARCA Racing Series: Champion - Grant Enfinger. 2015 Formula 1 Series: Champion - Lewis Hamilton. 2015 NASCAR Camping World Truck Series: Champion - Erik Jones. 2015 NASCAR Xfinity Series: Champion - Chris Buescher. 2015 NASCAR Sprint Cup Series: Champion - Kyle Busch. Funny Car Champion - Del Worsham. Pro Stock Champion - Erica Enders. GT Le Mans Class Champion Team - Porsche North America. GT Le Mans Class Champion Driver - Patrick Pilet. GT Daytona Class Champion Team - Scuderia Corsa. 2015 Verizon IndyCar Series: Champion - Scott Dixon.